We have been Angry Birds obsessed for a while now and we are always impressed with the fun ways they incorporate new themes for play into their games. 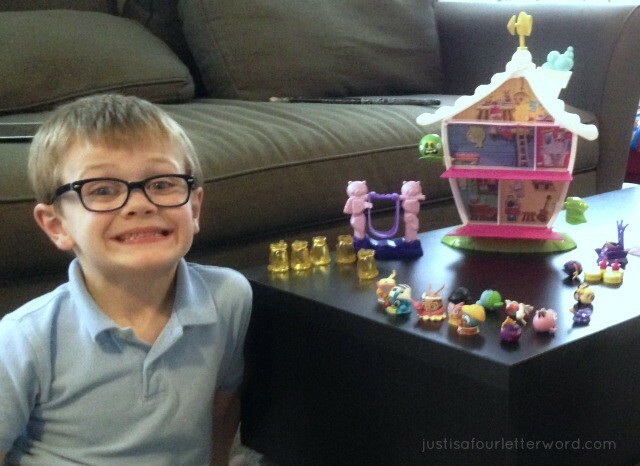 From the traditional Angry Birds to Angry Birds Star Wars, Angry Birds GO! and most recently Angry Birds Stella, we just love those little birds (and ok even those bad piggies sometimes too)! Oscar recently discovered Stella when playing another version of Angry Birds so we downloaded it and got playing. Using some existing characters as well as many new faces, Stella brings some fresh fun to Angry Birds with a twist. For instance, the blue birds still have the power to break ice, but instead of simply crashing into it, they use their super-singing voices to shatter it to pieces. It is a lot of fun discovering these new powers and Oscar picked it right up! When I got the chance to review the TelePods (or should I say, STELLA-Pods?) I knew he would be thrilled! We got all our packages unpacked and had a great time playing with the sets. After a while, he decided to start teleporting his new birds into the game and the rest was history. 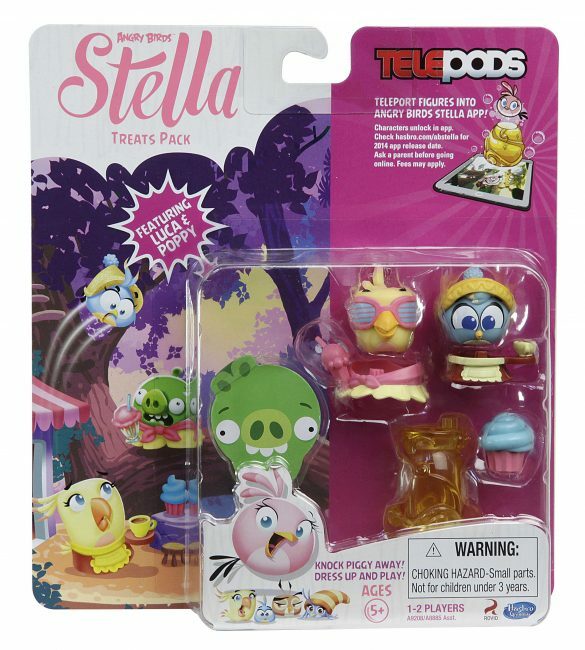 Angry Birds Stella TelePods (from Hasbro) will be available this fall and are recommended for ages 5 and up. Though I will say, when Calvin saw the Birds Rock Together collection with all their instruments, he immediately confiscated the drums and guitar. They are tiny though so I only let him play when supervised. Angry Birds Stella TelePods and playsets are available online and in select stores now. We are huge fans already and love that Angry Birds keeps the fun going with great new ideas around every corner. 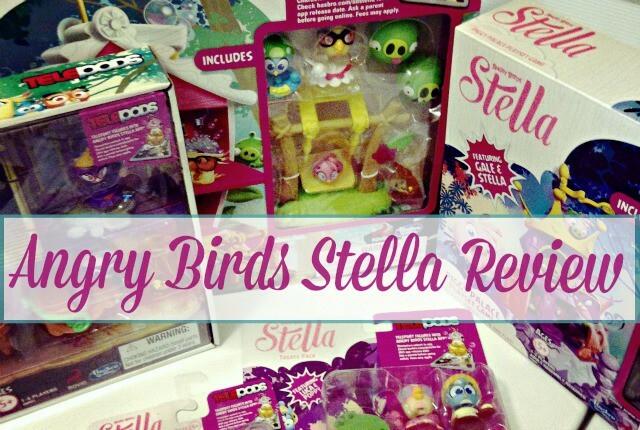 Have you played Angry Birds Stella yet? Items were provided free for the purpose of this review. No other compensation.